The most thorough guide to social selling. Tap into and leverage the power of this strategy. “Definitive guide” may sound like a hard title to live up to but that’s exactly what this is, an end-all, be-all guide to everything that is social selling. I’ll be providing you with all you need to know about social selling: What it is, why it’s important, and how it’s done. Now then, you’re here for a reason so let’s get right to it. Without further ado, your guide. You’re social selling when you use social media to interact directly with your prospective customers. Not to be confused with social (media) marketing, social selling focuses on one-on-one interactions between salespeople and prospects (rather than broadcasting your sales message). Five years ago social selling was practically non-existent, but today it’s commonly used in both B2B and B2C sales. Before we get any further, let’s make one thing clear: social selling isn’t new. Direct-sales companies (think Avon or Tupperware) have been using social-selling tactics since long before the internet. In fact, all selling is social selling in one way or another. What is new is the scale, speed, and efficiency of today’s social selling. The sales game has changed. Today, it’s all about establishing a trusted relationship by showcasing your expertise and becoming your prospects’ go-to authority. Trust is more important to sales than ever, but it’s becoming harder and harder to earn that trust from your prospects. It wasn’t long ago that a potential lead may have visited your company website to learn about what you were selling, but things have changed. Today, most prospects won’t make it to your website until they’ve done the majority of their research elsewhere. Where does that leave you? If you learn to sell socially, it leaves you in an unprecedented position of power that a “traditional” sales approach simply cannot provide. Your prospects are looking for an expert, a consultant, a guide. Become one, and you’ll find yourself reaping the benefits. Social selling will cut down or cut out your cold calling altogether. Sounds nice, right? Social selling presents an easy way to establish genuine interaction between you and your potential customers. You’re “talking” to your customer before you ever speak a word to them. You get the chance to earn their trust when the pressure is off and nurture prospects without the push and prod of the typical sales call. How often do you say to yourself, “How long is it going to take to close this lead?” After all, cold calls leave the customer in a position of ultimate control. Today’s pre-purchase research is faster and easier to conduct. If you’ve been sharing valuable information and interacting with people on a level playing field, you may find prospects having decided to do business with you before they even pick up the phone. No matter what you sell, there will always be a prospect who is confused by your product or service. Most people are put off by confusion and the chances of them calling your company to gain clarity are low. So, where do they go to do their research? They go online. You’ll find plenty of the decision makers you’re after asking their question in a relevant social media group. These opportunities to answer questions are opportunities to interact with a prospect that you would never have known about without social selling. They may find the answer to their question in a piece of content you’ve shared. You may be able to reach out to them directly to help them through their confusion. However you help them you’re solving a problem, building trust, and moving one step closer to a sale. Social selling allows you to be in touch with your previous customers without interfering with their busy day. There’s no need to call and check in when you’re regularly putting valuable content in front of them or making yourself available to answer their questions. We all know that the cost to acquire a new client is far greater than the cost to retain an existing one. Shouldn’t you be doing everything you can to keep your existing clients in such a non-invasive way? One of the main goals of your powerful social selling strategy should be to build trust. You’ll be sharing information, answering questions, and helping people with their problems. All the while you’re building a trusted relationship with your customers. It’s these relationships that keep customers coming back AND drive them to refer you to their networks. As you know by now, relationships are a cornerstone for sales success. By now you probably get the picture. Social selling is important, like really important. But I’m going to clue you in on another reason you’ll be keen to include social selling in your sales strategy. I want you to understand why social selling is important in the long term. Let’s consider the way that sales are heading as a whole. Today’s buyer is better informed than ever, and they are finding solutions to many of their problems on their own. They’re out there asking questions and examining peer reviews and feedback. They are doing plenty of research pre-purchase, so by the time they’re looking for a salesperson, you can bet they’ve just about made their decision. 57% of a typical purchase decision is now made before customers even talk to a supplier. More customers are finding the information they need to make their decision well before they talk to a salesperson. Moreover, buyers are shying away from hard selling and cold calling. The age of contact, influence, and sell is at its end. What does all of this mean? It means it’s time to revise your sales strategy and design a “new and improved” version. You need to be meeting your customers while they’re looking for information and establish your position as the expert by providing them with the information they’re looking for. Be the hero answering their questions, and they’ll be far more likely to reward you with their business. I agree wholeheartedly. It’s time for a shift. It’s time you include social selling in your sales strategy. Get ready for some social selling stats that will have you wondering why it’s taken you so long to get started. In the next section we’ll cover my favorite social selling strategies and tactics. Right now let’s take a look at some awesome social selling statistics. If you’re more of a facts-and-figures person, you’ll enjoy this. The average cold calling appointment-booking rate is a measly 0.3%. The average sale rate is 20%. That means the average salesperson makes over 6,200 calls to make 4 sales. Social selling provides 45% more sales opportunities than cold calling. Social sellers are 66% more likely to attain their quota. Social Sellers reported a 55% customer renewal rate and a sales forecast accuracy of 54%. Only 31% of B2B salespeople use social media as a part of their sales process. Only 26% of salespeople felt that they understand how to use social media to improve their sales. Last but not least, IBM used social selling to boost sales by 400% in a single quarter! Social selling is one of the most powerful and effective ways to reach and close more prospects and improve your sales numbers. Are you still wondering if it’s for you? Keep reading. I have plenty more reasons you should be social selling, plus a wealth of helpful information on how to get started. Before we get into the “how,” I want you to understand just how big social selling is. I’m not the only one who feels social selling should be a part of your sales strategy. Sales experts from around the globe recognize its value. Let’s take a moment to let a few of these experts chime in. You’ve heard it straight from the mouths of some of the world’s leading sales experts. If you still don’t feel like social selling is right for you, it’s O.K., your Rolodex and desk phone were looking a little lonely anyway. Up next is the can’t miss “how it’s done” section. You get it; social selling is in, hard sales are out. Now that you’re ready to embrace a new sales strategy, it’s time to talk about how to get started. I’ll take you through each of my favorite tactics and show you how to build a powerful social selling skill set. I’m a huge fan of content marketing. If you’re looking for a successful way to start social selling, you should be too. Is your brain already buzzing with ideas about how you can leverage content marketing into our social selling strategy? The key to pairing content marketing with social selling is creating content your prospects will find valuable. Put yourself in their shoes. People are interested in content that helps them solve their problems. What potential issues might they face when buying what you’re selling? What sort of information would you find helpful if you were new to your industry? Each piece of content you share should work together to build your personal brand. Show your prospects who you are, what you do, and why you’re the expert they should turn to when in need. Position yourself as the expert by giving your prospect just the right information, exactly when they’re looking for it. Buyers want to see that you’re knowledgeable in your own right. The right content can make a great impression. Make sure it’s authentic and something that your prospects will find valuable. Furthermore, use your content to communicate with your prospects on a deeper level. What we share says a lot about who we are, so make a good impression. Industry humor and tasteful extras shouldn’t be excluded from your shares. The more you’re able to reach potential customers on a personal level the better. There is a line where personal becomes too personal, however. The position of that line will vary from industry to industry. I’d say it’s better to play it safe and loosen up as you become more comfortable with your audience. After all, it’s much harder to do things in reverse. How closely does your company’s sales team work with your marketing team? A foreign concept to many businesses, “smarketing,” as it’s called, can significantly increase the efficiency of your sales process. In a nutshell, smarketing is the teaming up of your sales and marketing departments to reach your customers more effectively. You’ll meet often, set goals, and communicate your results in order to make your companies sales and marketing efforts more efficient. In many cases, marketing will be responsible for content creation. Your social sales strategy should include a tactic called social listening (more on that later) to determine just what potential prospects are looking for or what problems they may be facing. For example, in your weekly meeting, you’ll relay your discoveries to marketing. They create the perfect content to answer said question/solve said problem. When you share this content back to the LinkedIn group where you discovered the problem, you’ll be positioning yourself as the expert that your potential prospect has been looking for. Talk about an easy in! So you know how important content is to your social selling strategy. Now it’s time to go over exactly what type of content should be used as you nurture a lead. You’ll use different pieces of content to reach your lead during each stage of the buyer’s journey. Your content marketing skills will play a major role in your social selling success. Pay attention to how each piece of content is received by your audience and make adjustments to your content marketing strategy accordingly. Test, test, and test again. Always be honing your social selling skills and refining your strategy. Once you’re good and comfortable with your content marketing strategy, you may want to try taking it the next level. If you really want to be seen as an industry thought leader, blog on your company site or start your own personal blog. Your experience with social selling will have given you plenty of insights into what type of content your audience will find most valuable. Go ahead and get creating. Write, create videos, design infographics. Use your skills to enhance your social selling strategy. Test each of your posts to see what types of posts garner the highest engagement and refine your strategy accordingly. By now we can agree, sales have changed. That’s why at this point I want to reinforce that the material you are reading can be applied to both B2B and B2C sales strategies. The reason for its flexibility is simple. Social selling is about person-to-person relationships. No matter what you’re selling, you want to be fostering relationships with your potential prospects. The relationship comes first. As you help people and share valuable information, a trusted relationship is formed, and that makes your job a whole lot easier. Social listening is the process of monitoring social media in order to refine your sales strategy. The information you gather can be used to determine public perception of your brand while you work toward making improvements in your overall sales approach. On an individual scale, social listening gives you the opportunity to scan for a prospect’s problems or questions relating to your industry. Social listening may give you the opportunity to step in and share an article that helps to resolve the issue or answer their question directly. When you are actively searching for people with problems you can solve, you’re in a powerful position to help them and convert them into a high-quality lead. LinkedIn is the best place to start social selling. LinkedIn is an excellent resource, but it’s not the only way to sell socially. Just because you have a LinkedIn profile doesn’t mean you’re social selling. Social selling can almost always be done better. Don’t get comfortable, always be improving! Now that I’ve got that out of the way, where were we? Here come my favorite strategies for social selling on LinkedIn. Nine powerful, actionable ways to get you selling socially with success. Where are your prospects turning when they have a problem to resolve? Many of those “in the know” are members of industry-specific LinkedIn groups. In these groups, they have the opportunity to engage with like-minded professionals in order to share ideas, work through problems, or pose a question to a highly relevant audience. Become one of those individuals. You are an expert in your industry. Put your knowledge to use and help your prospects. You don’t have to sit and wait for them to ask a question. Share your ideas, start conversations, get people talking. The more you interact, the more opportunities you’ll have to showcase your knowledge and establish your authority. Chances are you already know of a few great sales opportunities that would make your life a little cushier. They may provide you with that high dollar sale that you’ve been dreaming of or become an awesome long-term client. Use LinkedIn’s search tools to find buyers (and influencers) for these types of opportunities. Search for titles of Director or higher and determine which of these people are the decision-makers (buyers or influencers) so you can engage them later on. Identify which of these people possess the qualities of your ideal prospect. Use the look-alike search tool in order to discover more people that LinkedIn considers similar. As you come across the right people, add them to a prospect list. Note: Remember that today there is an average of 5.4 buyers in the B2B sales process. Search for the multiple decision-makers at each organization and their influencers in order to create a holistic sales strategy that engages multiple people at the same time. Once you’ve made a new connection, you can introduce yourself by sharing a piece of content you feel will benefit them. You’ll be making a strong first impression and reinforcing your industry expertise early on. Only share content if it’s relevant and don’t overshare with the same person. You’ll want to start your morning by doing a few key things that will keep you ahead of the social selling curve. Reply to comments – Your social selling strategy should have you regularly communicating with prospects and members of your online community. People will be commenting on your content and other posts. Make sure you get back to them in a timely fashion by starting the day replying to comments. Respond to messages – If you’re sending content to new connections, you’ll likely end up getting a few messages back. Be sure to respond promptly. Connection requests – You may find a few connection requests as you begin the day. Accept them and send a welcome message in order to start things off on the right foot. Interacted with your posts – LinkedIn shows you people who have liked, shared, or commented on your posts. This engagement could point you toward a potential prospect. Viewed Your Profile – LinkedIn gives you a list of people who have viewed your profile. Find those that are not already a connection and connect with them if you feel that there is a benefit in doing so. Followers – Some people will choose to follow you and receive notifications about you based on your content even though they are not yet a connection. Find a good reason to connect with them and reach out. Updates – The updates section lists every piece of content you’ve interacted with. Reconnecting with a piece of content will allow you to see who else has interacted with it and whether or not they represent a potential prospect. We already know that nobody wants to feel like they’re being sold to on social media. This is especially true on LinkedIn so I’ll give you a piece of advice. Make yourself the friendly, likable kid on the playground that everybody gets along with. That means doing more than sharing content and answering questions. Start Monday (or every day) off with a motivational quote. Tell a business-related story that gives others some insight into who you are. On Fridays, you could even throw in a post about what you’re doing for the weekend (when you’re behaving yourself). People have to know you a bit to like you. Give them bits and pieces that fill in gaps of who you really are. While you may not be ushering prospects along as quickly with a low-pressure approach, high-pressure sales techniques won’t fly on LinkedIn. You’re looking to build a trusted relationship, and high-pressure sales techniques break down any trust you may have earned. Be patient, move slowly, win big. Professionalism is just as important online as it is in a sales meeting. The pressure, speed, and bold verbal choices of others of any online setting can make some people a little hot under the collar. No matter who you’re engaging with, maintain yourself as the consummate professional. Rather than jumping into a messy conversation, you may decide to help mitigate and moderate. Reinforce your position as a leader while you impress any spectators with your expertise in handling high-pressure situations. You’ll be able to rate yourself amongst social sellers on LinkedIn via one of their websites. If you’re getting started, don’t pay too much attention to your current score. However, as you find yourself becoming more and more comfortable with social selling, start to compare yourself to others in your industry. Do your best to determine the things which separate high-ranking social sellers from…well, you. Then adapt some of their techniques to your own strategy. Read How to Use LinkedIn to Increase Lead Generation for more strategies and tactics. Social selling on Facebook is somewhat similar to LinkedIn. Many of the above tactics can be used on Facebook with little or no modification. You’ll want to remain a professional and use low-pressure sales tactics. Work to make yourself likable. You get the picture. In fact, try to implement just about all of what you’ve learned about social selling on LinkedIn on Facebook as well (where it makes sense). That being said, there are a few key tactics that apply specifically to Facebook. Start a Facebook Business page for your personal brand. Should a prospect really want to check you out, they’ll have access to all of your posts in one easy-to-find place. Plus, you’ll be able to take advantage of Facebook Ads and their analytics. Once you’ve got your page created, you’ll want to use Facebook’s targeting tools to promote it with Facebook Ads. Your industry expertise will reach further with the additional likes and shares gathered by your promotion. When I say regularly, I mean a couple of times a day. After you’ve done this for a few weeks, you can look at your Insights to see how your followers are interacting with your content. You can refine your posting times accordingly and then schedule your posts to save time. We’ve covered some seriously powerful tactics and strategies so far, but I want to go over a few that often get overlooked. They may seem simple and straightforward, but be sure not to miss them! You’ll be using social media to interact with prospects, so don’t forget to look your best while you’re at it. That means a complete and up-to-date profile with more than just your basic info. All social media provides prospects with the opportunity to scope you out in detail, so provide them with some details! Make it personal but be sure to keep it professional. You’ll need a high-quality, professional photo (not too stuffy) too. You’d be amazed at some of the profiles I’ve seen. If you want people to take you seriously, take the time to complete your profile to the best of your abilities and continually add and update. Social may not take your lead to a sale. In fact, it may be rare that you’re able to close a prospect completely online. Let social be a warm introduction that fosters trust before reaching out via phone, email, or in person. After all, there will never be a replacement for the genuine interaction that takes place during a face-to-face meeting at the local coffeehouse or a friendly voice over the phone. However, social selling will make it a whole lot easier to get to that point. Social selling is not something to be rushed. You’ll need to work hard to establish your personal brand. It’s impossible to be seen as an industry expert overnight, so don’t bang your head against the wall trying. You’ll likely do more harm than good. Instead, take your time and make connections. Post your expert content and answer questions. It’s an organic process that simply cannot be forced. With a bit of patience, you’ll begin to see the results of your hard work. Furthermore, you’ll need to work to maintain your expert position. There is no autopilot in social selling. Remain an active participant in discussions, continue to post engaging content, and you’ll continue to find your sales funnel full. 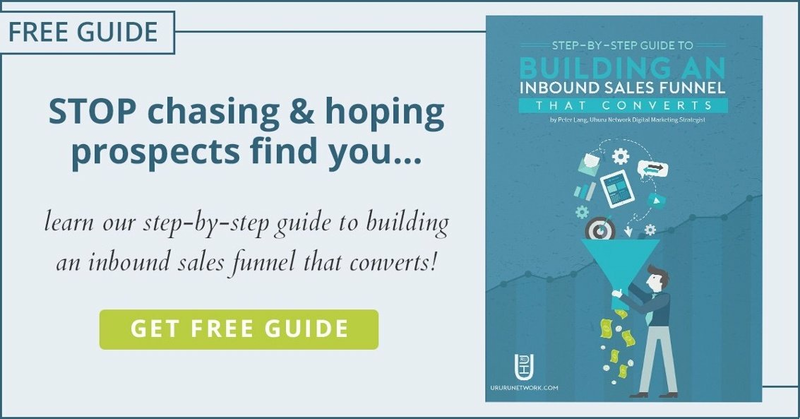 This definitive guide is so definitive that it even comes with a bunch of great resources to help take your new social selling strategy to the next level. Below are some of my favorite sites and articles containing actionable tips, proven tactics, and other ways to hone your social selling strategy. MarketingThink.com has quite a few articles and info on social selling. They’ll prove to be a great resource as you hone your social selling skills. Koka Sexton’s answer to When does Social Selling Just Become Selling? and Melonie Dodaro’s article outlining some powerful social selling tips. Barbara Giamanco wrote an awesome article outlining why your social selling efforts may not be panning out. This is an important part of taking on any new strategy, and I consider it a must-read. I also really like this perfect example of what to do/what not to do, on Julio Viskovich’s site. It’s never a good idea to get all of your information from one place (no matter how awesome that definitive guide, I mean place, might be). Always be learning, always be honing your skills. Your efforts will be reflected in your success. Pouring over my favorite online resources may leave you wanting even more. If so, be sure to head to your local bookstore or Amazon and get yourself a copy of these great books. As you know, LinkedIn is heaven for social selling, so there are multiple titles that tackle the intricacies of social selling on this platform. You might also want to explore LinkedIn’s list of 5 Sales Books Every Social Seller Should Read for a few that they recommend. The world of social selling will continue to evolve. So should your social selling strategy. You’ve made it this far. You know what social selling is and how to use it to enhance your sales strategy. It’s time to implement each of the tactics I’ve outlined for you above. Use them to formulate the most powerful strategy for your particular industry and, more importantly, your customers. Every salesperson has strengths and weaknesses. Focus on tactics that play to your strengths and generate the best results. Each of these tactics work better for certain types of salespeople, and it’s important that you utilize the ones that work for you. Some social sellers find LinkedIn to be a more useful platform, while others focus their social selling efforts almost exclusively on Facebook. Some focus on content marketing, while others answer questions directly. I want you to do one thing for me. Get out there and put everything you’ve just learned to use. Get out there and sell! The only way to succeed is to try. Sales have changed whether you like it or not and, at this point, the only thing standing in your way is Y-O-U. You’re now equipped with everything you need to create an outstanding social selling strategy. Be sure to let me know how you’re doing or hit me with your questions by commenting below.